This is definitely one of the best dives in Palm Beach County. Just out of Riviera Inlet is a section of ocean that hosts 6 different wrecks in a row that has become known as "The Corridor". The current tends to run to the North most days so the boat will drop you first in the line on the Ana Cecilia. The Ana Cecilia is new to this site, she was sunk on July 13, 2016 and it didn’t take long for the Goliath Groupers to make her their new home. 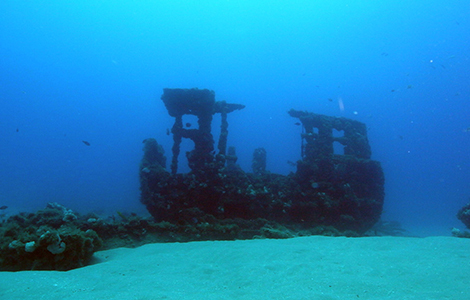 This wreck is a 629-ton freighter ship measuring 170ft in length and is 40ft wide with many cargo areas that have been modified for diving. Call or stop in to take advantage of our group rates and book your slot on this amazing dive trip today. Only 11 slots available, first come first serve!